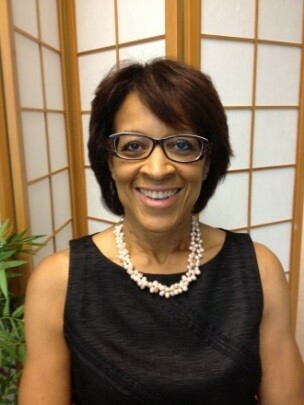 Paige Cottingham-Streater is Secretary-General of the U.S. CULCON Panel, Executive Director of the Japan-U.S. Friendship Commission, an independent federal agency that provides grants for research, training, and exchange with Japan; and Executive Director of the U.S.-Japan Bridging Foundation, a U.S. non-profit organization that promotes U.S.-Japan relations. Serving in these leadership positions, Paige is responsible for providing strategic direction, increasing the visibility of the important bilateral relationship between Japan and the United States, and promoting educational and cultural exchange. Prior to joining CULCON, Paige served as Deputy Executive Director of the Maureen and Mike Mansfield Foundation; Director for the U.S.-Japan Project at the Joint Center for Political and Economic Studies; Counsel and Legislative Assistant in the office of Congressman Donald M. Payne (D-NJ); and staff attorney at the U.S. Department of Treasury, Bureau of Alcohol, Tobacco and Firearms. Paige has numerous volunteer positions, including Chair of the Board of Directors of the USJETAA. She is the recipient of Japan’s Foreign Minister’s Commendation in recognition of her longstanding work to strengthen U.S.-Japan relations. The award, made on March 31, 2004, commemorated the 150th anniversary of the Treaty of Peace and Amity between Japan and the United States. Paige received her Juris Doctor from the National Law Center at The George Washington University. She also holds a B.A. in Government and Asian Studies from Connecticut College. Pamela Fields joined the staff of the Japan-US Friendship Commission, an independent federal agency, where she serves as the Deputy Secretary-General for CULCON, twenty seven years ago. The US-Japan Conference on Cultural and Educational Interchange (CULCON) is a binational advisory panel that has its origins in meetings held in Washington in 1961 between President Kennedy and Prime Minister Ikeda. Since its first meeting in Tokyo in January, 1962, CULCON has served to focus official and public attention in both the United States and Japan on the vital cultural and educational underpinnings of the US-Japan relationship. Ms. Fields was Vice President of a small international consulting firm in Washington, DC and established and directed an international service unit for a major Japanese department store in Tokyo. Ms. Fields also worked as a broadcaster for NHK in Japan for five years. Ms. Fields received her Bachelor of Arts from Bryn Mawr College and a Masters in International Business, with a focus on Japan. 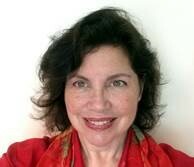 In addition to her time spent in Japan, Ms. Fields has lived in and speaks the languages of France, Italy and Israel. She has two college-age children and lives with her husband in Takoma Park, Maryland.